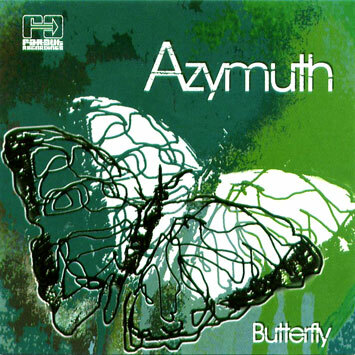 Azymuth started their career back in the early 1970s when Marcos Valle invited them to record on a soundtrack LP in tribute to the Formula 1 racing driver Emerson Fittipaldi.One of the tracks was entitled Azimuth, and after the great success of this record in Brazil they asked Marcos if they could use it as the name for their band. This was the official start of Azymuth. At this point there was a fourth member, Ariovaldo - the percussionist of the group who died tragically in the mid-Seventies, throwing into question the continued existence of the band. Their first recording as a quartet was a four track EP with Polydor, which went on to be used in a successful novella (Brazilian soap opera). The records sales followed the massive popularity of the programme. From this followed their first LP with the Som Livre label and 'Linha Do Horizonte' (used in another novella). This LP featured other classics like Manha (a standard on the London club scene) and Faca De Conta. The unique Azymuth sound was born. The second album Aguia Nao Come Mosca was an even bigger success. It was also released in the USA and Japan on Atlantic Records, bringing Azymuth international attention. This LP led to a world signing with the North American jazz label Milestone Records. To the band this was something of a surprise - they were just playing their own music, which they saw as MPB (Musica Popular Brasileira) with a touch of jazz. In 1979 their first Milestone release became one of the best-selling LPs on the label. It featured the worldwide disco/fusion hit Jazz Carnival. As a single, it sold over 500,000 internationally and remained in the UK top 20 for eight weeks. Azymuth went on to record a string of albums on Milestone, establishing themselves as one the worlds great jazz bands. They played in the best jazz festivals and venues around the globe, and worked with other musicians like Chick Corea, Joe Henderson, Deodato and Stevie Wonder. In 1983 the three members started solo careers, whilst still recording collectively. However, the trios burgeoning solo commitments caused a heavy toll - by 1987, Azymuth had split. In 1995 Joe Davis from Far Out Recordings was introduced to Azymuth, whilst on a recording project in Rio working with Brazils best jazz musicians. Instantly they struck a common bond through the music that they loved. Not long afterwards, Joe asked them to record for his label. In 1996 the album Carnival was released, to excellent reviews and critical acclaim - a welcome return to the bands creative best. Since 1996 the Azymuth sound has gone from strength to strength and has gained many new, younger fans across Europe. Through their energetic shows and especially through remixes by some of the most exciting producers around (Roni Size, 4 Hero, Jazzanova, Kenny Dope and Global Communications to name a few) theyve become an important force once again on the underground jazz scene. Their new album for Far Out pays homage to the different styles they have created over the years, albeit with 100% new recordings. The album is split into three different parts, representing their 30 years. Tracks featuring Roberto Menescal, Emilio Santiago, and Fabiola represent the early years when Azymuth recorded with a constant stream of singers, creating some of the Brazils most popular vocal bossas and sambas. Representing Azymuths fertile period of the late 70s and early 80s (when they would regularly sell in excess of 500,000 albums!) they welcome percussionists Cidinho Moreira and Chacal, creating the classic Azymuth sound as heard on Jazz Carnival, Partido Alto and Dear Limertz.